LEMONADE! GET YOUR FRESH LEMONADE HERE! How many of you have ever set up a lemonade stand as a kid in your neighborhood? It’s almost a right of passage, and it’s usually the first experience we have at becoming an entrepreneur. What are the basic elements of running a lemonade stand? You have to have to the goods, product, the lemons, the sugar, the water. This is your supply. You have to have your thirsty customers. This is your demand. You have to a way of getting your lemonade to your thirsty customers. This may be a table on a street corner. This is your distribution. You have to let your thirsty customers know that you have delicious lemonade waiting for them. This may be a big ol’ sign hanging on your table. This is your marketing and promotions. So, if you make a film, then that becomes your good or your product. This is your supply. Your eagerly awaiting audience clamoring to get your film is your customer. This is your demand. Now, you’ve always heard about supply and demand. It always goes hand in hand. If you have a lot of demand and a very small amount of supply, it creates scarcity, which means the owner of the supply can charge high prices. But when there is no demand and too much supply, the owner of the supply must sell their goods at a very low price … because no one wants it! The film industry has an over glut of supply. Nearly 50,000 new films are made each year. 50,000! Then on top of that, there are all the past films that have been made that are available to the same audiences that you are trying to reach. 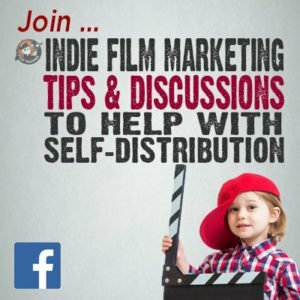 But behold, if you have a film product that is so unique, and so special, your film product, your film supply becomes scarce … it will cause the clamor for your scarce product to be so high, that the demand to see it, to own it, that whomever owns the film product can charge the high prices. In the early days of the film industry, each film studio would actually own the film theaters in which they would exhibit the films that they made. Just as the assembly line gave way to the automobile industry boom, the concept was adopted by the early days of the film industry. Exclusive contracts were given to actors, directors, producers, writers, cameramen, editors, engineers, etc. to work solely for one studio or another. This assembly line of film production would eventually end up being distributed and exhibited to the chain of theaters owned by these film studios. Those theaters that weren’t owned by the studios themselves, a blind booking deal would be in place, forcing theater owners to exhibit unseen films based on prior contracts with the major studios. In 1938, United States vs. Paramount Pictures, declared the film studios a monopoly. Litigation would continue for another 10 years, before a number of other studios volunteered to dismantle their studio system structure to avoid criminal penalties. Before the large cinema plexes, audiences would consume their film fix by looking through a tiny screen on a nickelodeon. Today, we can consume film products on a smart phone. Audiences can consume their film products on tiny screens, medium screens, large screens, and mega screens. Where does you film product fit into all of this? When kids are selling their lemonade on a street corner, they can only distribute their product for a limited customer base within a short local distance. If the little kids could organize and create a workforce and a business system that could be replicated on several street corners throughout the neighborhood, then they could expand their reach and increase their sales of their delicious product. Imagine, driving around your neighborhood and seeing a lemonade stand with adorable little munchkins, selling their goods at almost every street corner. Not only would it grab your attention, but you might just stop and buy a cup of lemonade because, well, you were exposed to the sight of their adorable faces on more than one occasion. This is exactly what Starbucks has done. They exist on almost every street corner. They hardly advertise on traditional mediums such as television commercials, because it’s been said that the numerous stores they have is all the marketing they need to promote the exposure of those little white coffee cups with their green logo. Think about it, you see someone walking with those cups in their hands, you know there is a Starbucks nearby. Film can be a digital product now. So, it’s not a physical product that requires manufacturing and physical shipping distribution (unless of course you choose to distribute it via DVD). This means that there are infinite numbers of ways to distribute your film product on every street corner to be exposed to audiences all over the world. What if there was lemonade stands all over your neighborhood everyday you drove home. The frequency may dilute your desire to want to buy lemonade. It’s fun and unique when you see a lemonade stand pop up on a sunny weekend, but not when you see it all the time. Film products can be seen this way. Audiences can view film products anywhere, anytime, in any manner they want. There is no scarcity. There is no unique demand. Unless you can make your lemonade stand, so special and so unique and makes it so scarce …. how will you ever garner the high demand for your product? 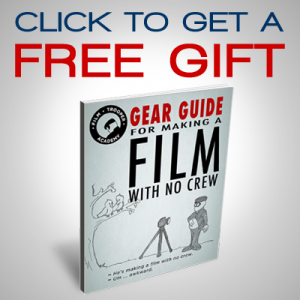 Can you make your film product so unique that people will clamor for your piece of art? It’s hard. It’s damn hard to do. If you happen to make a very special film product that will command a clamor of demand, then what form of distribution will you deliver it to your customers? The golden dream for filmmakers will be that a major studio will pay big money to buy and distribute it through their massive distribution channels. But remember, once you sell your film to the big studios, then you are selling away all rights to control … anything. 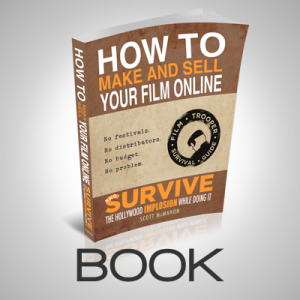 Filmmakers can easily throw up their film product online and offer it up to the world. So, really, distribution is not an issue anymore. You can have every street corner to sell your film products if you want. So, it must really come down to one last thing in the 4 basic principles of business. Marketing. How do you let customers know that your film product, your lemonade is better than your competitors? Remember, the image of a lemonade stand on every street corner for one weekend? It’s an exposure blast that last for finite time period. That’s what the big movie studios do. They blast out an over exposure of information on a film that will be made available to audiences in a finite time period. 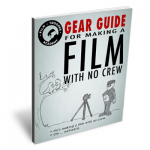 How does the independent filmmaker compete with the over exposure of the big studios? They don’t. After all, who has that kind of money to promote and market to a mass market besides the studios? There are other marketing techniques besides a mass-market blast. How will your independent … and I mean really independent film, like the one you made with no Hollywood stars and just used the local acting talent … or even better, you used your friends. Anyway, how will you market your film? 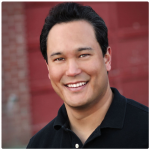 What other marketing techniques will you implore? How do independent authors market their e-books that is different than the big publishers? How do independent artists market their drawings, paintings, and sculptures without major gallery backing? How do independent musicians or bands market their music without the big record label deal? Now, one more time, how do independent filmmakers market their films without the support of a major studio deal? There doesn’t seem to be any real mystery to business. Keep it simple. Just four simple things that need to be executed well enough to earn yourself a profit … that’s it. Your latest task at becoming a filmmaking entrepreneur is to remember these four basic principles. So, whenever you lose your way, you can come back to the question … How can we sell more lemonade? Follow along as we break down each task into small nuggets that you can accomplish. 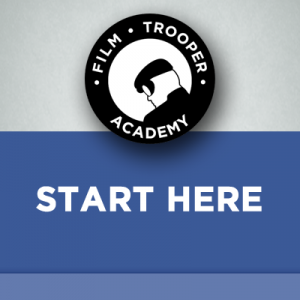 Thanks for being a trooper … I mean, a Film Trooper, and reading along.